What sets Paramaecium apart from other bands in the doom metal scene, is the fact that they are the only Christian death doom band that made it to the top of the genre. 'The Unnatural Conception', the first, 17 minute long track of this debut CD, starts with an aria with soprano vox followed by a long, heavy and threatening rhythm guitar section until vocalist Andrew's relentless grunts and the threatening, aggressive character of the music, make clear that Paramaecium is one of the heaviest doom bands around. Since the music and the biblical lyrics are also very elegant, a comparison with 'As the Flower Withers' from My Dying Bride would not be illogical. 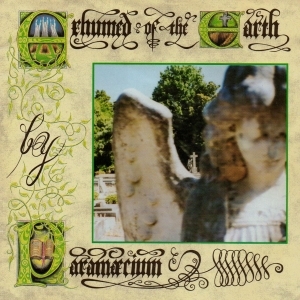 However, 'Exhumed of the Earth' has the production that the ...Bride's debut lacked, which is one of the reasons that Paramaecium's debut album sounds that heavy and relentless. Atmospheric elements like a violin, flute and acoustic guitars are also sparely used, although the band primary focuses on heaviness and on their death metal basis. Or to keep it short, this is simply a must have for all doom fans and especially for the fans of (old) My Dying Bride!